Ilian Minter, DDS, is Murreita’s choice for orthodontics through Invisalign. Along with her associates Mark Phillipe, DDS, and George Crow, DMD, she provides compassionate care. Patients in Murrieta, Menifee, and Lake Elsinore know they can trust Dr. Minter and her team to provide thoughtful suggestions and gentle, yet effective care. For Invisalign and other services, choose Signature Dental Care. Invisalign is essentially a series of clear retainers that shift teeth into the correct position over time. Patients wear their aligners for a minimum of 22 hours per day, removing them only to eat and complete daily cleanings. Every twoweeks patients graduate to a new set of aligners. With each new aligner, the smile becomes straighter. These devices are unique in their ability to straighten teeth discreetly without altering the patient’s lifestyle and daily habits. Dr. Minter will help decide if this treatment is sufficient for your needs. Invisalign can treat most mild to moderate cases of malocclusion, the medical term for crooked teeth. An example of a severe case of malocclusion would include impacted teeth, a wide-open bite, or pronounced over/ underbites. If you have any of these severe symptoms, don’t exclude Invisalign just yet. There have been recent advances in Invisalign technology that have increased the strength and potency of this system. Using tooth-colored attachments, called buttons, the clear retainer can get a better grip on the teeth and push them into place. Visit us for a comprehensive consultation, and find out if this treatment can remedy your individual case of misalignment. During these appointments, we can also check for any developing complications such as decay or gum disease. To be a good candidate for Invisalign, it’s important that we first treat you for any existing periodontal disease or cavities. 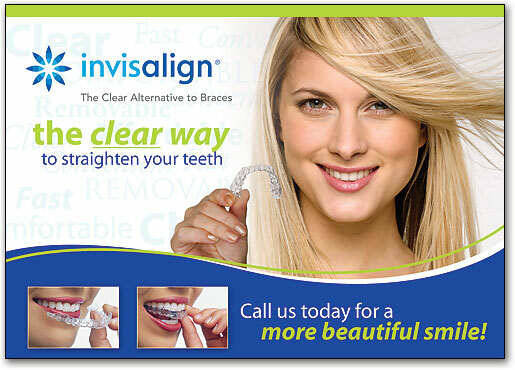 At our Murrieta dental practice, we offer Invisalign clear aligners with confidence. With no wires and brackets involved, this orthodontic option allows patients to retain a sense of normalcy throughout their treatment. For a relatively quick, discreet, and potent solution to your crowded or crooked teeth, choose Invisalign. Dr. Minter, Dr. Phillip, Dr. Crow, and all members of their caring and competent staff look forward to working with you!